The NV300’s cab is much more than a comfortable workplace. It’s also a highly organised mobile office. There’s up to 89 litres of storage space available for everything from paper clips and cups to large bottles and your laptop. The base of the passenger seat flips forward to reveal large storage bins (standard on Acenta & Tekna Panel Van models). The centre seatback folds flat and provides a removable A4 clipboard holder (standard on Acenta & Tekna Panel Van models). These are just some of the practical features that show we’ve thought about the way you work. 3. Convenient cup holder to safely hold your beverage. Your safety is important to us, so the NV300 is equipped with active safety systems including Electronic Stability program (ESP), ABS with Electronic Brakeforce Distribution (EBD) and Extended Grip that optimises traction in difficult conditions (such as mud and snow), plus several thoughtful touches to make driving easier and keep you calmly in control. Being on time and keeping in touch are crucial for any business. 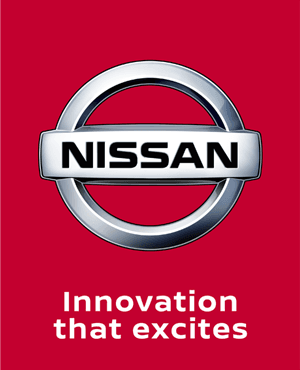 We make it easier with NissanConnect – our sophisticated yet simple to use multimedia system that syncs with your smartphone. Optional TSM (Trailer Sway Mitigation) works with ESP to help keep you in control when towing. Makes hill-starts safer and smoother by maintaining brake pressure for up to 2 seconds. Combined with rear parking sensors, it makes manoeuvring easier and safer. When you have your hands full, i-Key allows hands-free front and rear door unlocking/ locking and engine start. Activating Eco Mode helps you achieve the most fuel-efficient driving characteristics. 143 BHP The NV300 with the highest performance is the 1.6 DCi 2.9t L2h1 Acenta 145ps. 145 g/km CO2 The Nv300 with the lowest CO2 emissions is the 1.6 DCi 2.9t L2h1 Acenta 125ps. 47.1 MPG The most fuel economical Nv300 is the 1.6 DCi 2.9t L1h1 Tekna 125ps.